Buy, Rent or Skip Into the Wild? I've been wanting to check out Into the Wild for a long time. I can finally cross this off my to-watch list. 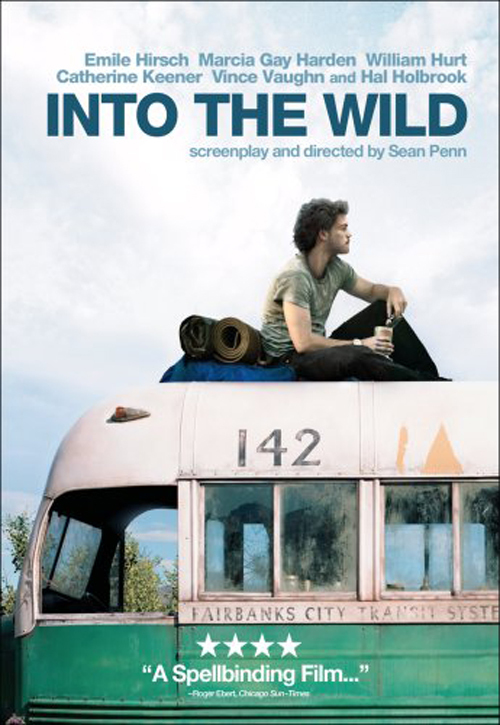 I've heard a lot of great things about the movie and even though I'm a fan of 'Road Trip' movies, I was bit unsure if Into the Wild would be able to hold my interest based on the Trailer I saw many years earlier. Surprisingly, the movie is very good and kept me engage from start to finish. Basiclly, the movie is a coming of age true-life story of a man that sets out on a journey to find himself and along the way touches the lives of those he meets on the open road in a deep and profound way. I loved the actors they got to play these people (Catherine Keener, Vince Vaughn, Zach Galifianakis, Kristen Stewart and Hal Holbrook). Yes, even Kristen was good. Nothing groundbreaking here, but definitely good enough for the role she played. I especially liked Keener and Holbrook's characters though. Their stories in particular kept things interesting. But the star of the movie is definitely Emile Hirsch. His transformation near the end of the film is what everyone seems to want to talk about. I admire any actor that can throw themselves completely into their role and his transformation is startling to see on the screen. Shocking is more like it. How he was able to function on set having lost all that weight.....Anyway, definitely worth a Rent. Sean Penn did a great job putting this movie together. Incredible soundtrack by the way. One last thing, it was crazy seeing Kristen and Jena Malone in the same movie. Emile's character is so dominating here that I didn't really even noticed that Jena was playing his sister. I thought it was Kristen. But when Kristen shows up later in the movie, I thought there was some weird subtext going on like they were purposely pretending not to know each other. Haha. William Hurt and Marcia Gay Harden also co-star. The soundtrack is awesome, with Eddie being king here. But even the other songs that make their way onto this as well as the score is pretty damn good too. Why Did Chris McCandless Go 'Into the Wild'? Unless they destroy the 'Magic Bus', I see this happening more and more as people trek to this landmark.